Emery Holmes, Sr., 79, went to be with the Lord on January 30, 2019 in Modesto, California. Emery was born on October 20, 1939 in Charleston, West Virginia. He is preceded in death by his parents, Custer and Lula Holmes as well as his siblings; Margaret Rabel, Josephine Hillenbrand, Mary Phares, Gladys Holland, Ralph "Red" Holmes, and Kenneth "Pops" Holmes. He is survived by his wife of 47 years, Bert Holmes, his children Mary Burden (Jason), Jay Holmes (Cherilyn), and his brother Eugene “Soup” Holmes. He was blessed with five grandchildren: William, Lauren, Luke, Noah and Levi. For the last 17 years Emery resided in Ceres, and previously of Manteca since his job transfer in 1985. Emery retired from LOF Glass Company in Lathrop after a 29 years of service. He attended Calvary Chapel in Modesto. 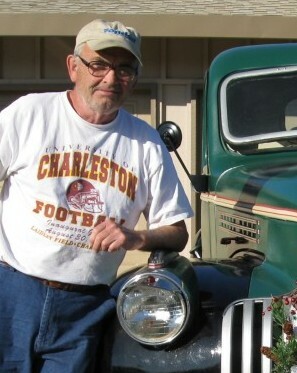 Emery enjoyed spending time with his family, day trips to the mountains and beach, camping, woodworking, and tinkering on one of the many cars he owned. He had a great sense of humor, giving everyone a nickname. He was a huge fan of the West Virginia Mountaineers. Emery was a devout husband, loving dad and grandpa. He will be greatly missed by all who knew him. P.L. Fry & Son Funeral Home is honored to serve the Holmes Family. A Celebration of Life Service will be held on Thursday, February 7, 2019 at 11:00 am at Calvary Chapel Modesto, 4300 American Ave, Modesto, CA 95356. An online tribute is available for condolences to the family at www.plfryandson.com.